Do you think being a railroad worker or a train driver is easy? Now is the time to find out. 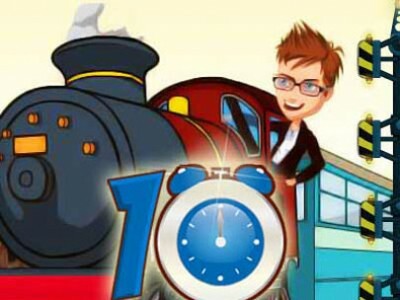 You have 10 seconds to move the arrows so that the train doesn’t crash. Work quickly and precisely. If you have some extra time left it will be transferred to the next level. Be careful because the railroad tracks get more complicated with each level. The life of the passangers is in your hands.